MONTRÉAL, Aug. 10, 2018 /CNW Telbec/ - (TSX: L) Today, Pharmaprix is officially launching an innovative new concept called "Zone Marché" at several of its drugstores in the Greater Montréal Area. What is unique about Pharmaprix's "Zone Marché" is the vast assortment of fresh products. 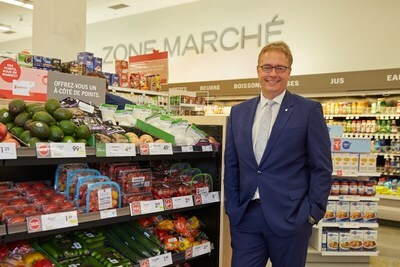 With the healthier food options available at Pharmaprix's new "Zone Marché" section, busy customers will be able to quickly and easily pick up the healthy foods they need for their breakfast, lunch or supper. Launched as a pilot project, this concept will be rolled out at 11 stores by early December. Other waves will be rolled out by 2020, mainly in high-density urban centres, given the profile of the target clientele. 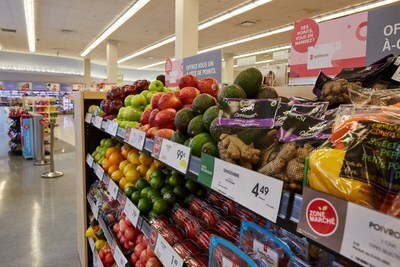 "Given the strong connection between food and well-being, it quickly became apparent that expanding Pharmaprix's offerings to include fresh items was a natural choice," said Éric Bouchard, Senior Vice-President, Pharmaprix. "We had already been offering certain types of grocery items to make shopping at our pharmacies more convenient. Now that we belong to the great Loblaw family, we've been able to take advantage of all this new expertise and go even further by offering everything our customers need to make healthier choices and more nutritious meals," he added. Stores with the "refrigerated counter" product line (three stores) will focus mainly on "fast and convenient" snack ideas such as fruits and vegetables, dips and deli. The "grab and go" line (seven stores) will centre on meal solutions, with something for the whole family. Lastly, as its name indicates, the "fully enhanced" line (one store) will offer all of the above, but with even greater variety. Whatever they choose, customers will find some of Quebec's most popular brands: St-Viateur Bagel, Le Commensal, Saputo and Bravodeli, to name but a few. Pharmaprix's "Zone Marché" will also be offering competitive prices comparable to those found at conventional grocery stores.